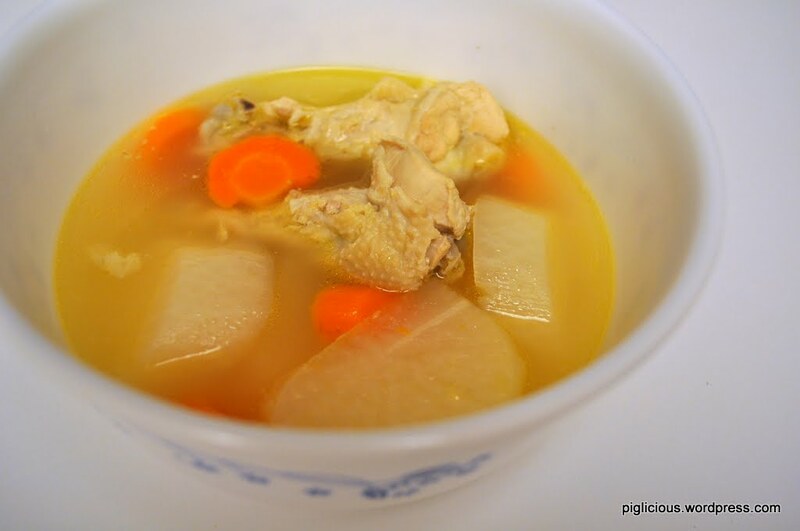 One of a couple chicken soup variations that I make. Sometimes this would be all I make for dinner (along with rice on the side) since I get my veggies and meats all in one pot! When I’m at the store buying the whole chicken, I immediately ask them to cut it into small pieces for me. It saves me the trouble of cutting it up myself when I get home. So you have your chicken already cut and now all you need to do is cut the ginger, cut the daikon into smaller chunks, and cut the carrot into slices. 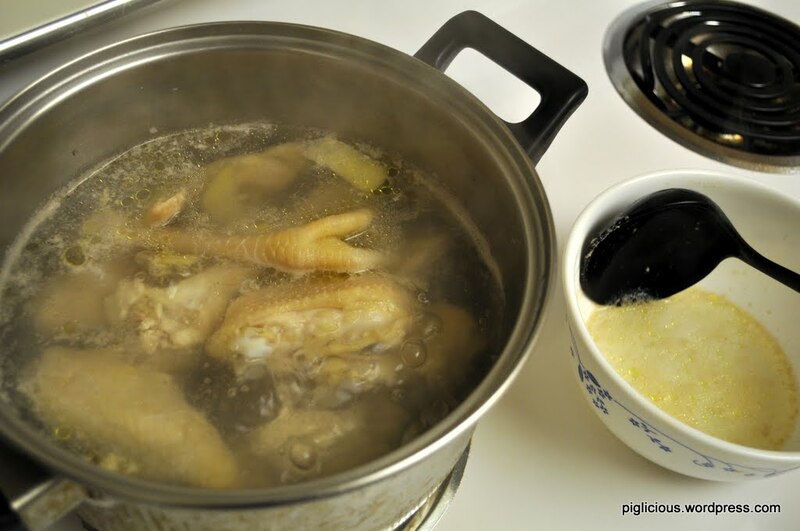 In a large pot, place the water and ginger in and turn the temperature to high. Once it reaches a boil, place the chicken in. Put the lid on for about 3 mins. The fats should be bubbling and forming on the surface of the soup and you’d want to scoop that out. I like a little fat in my soup for the flavor, so I don’t scoop all of it out completely. Let the soup boil for about 3 more mins. 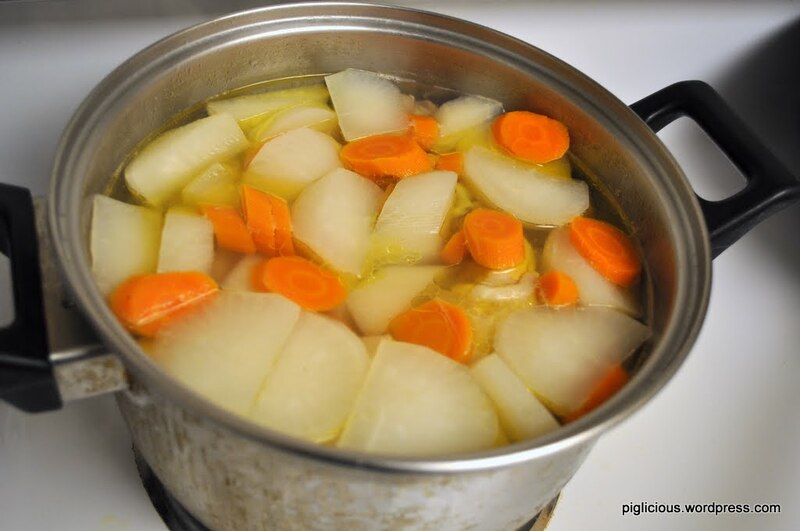 Add the daikon and carrot in the soup and try to soak most of it in the soup. Add a few dashes of salt and use the ladle to mix and spread the salt in the soup. (For the salt, start out with a small amount and if it isn’t salty enough after the soup is cooked, you can always add a little more. I like to put less salt in this soup because it brings out the natural flavors better.) Place the lid back on. Wait for it to reach a boil (about 5 mins) and then turn the temperature down to medium low. 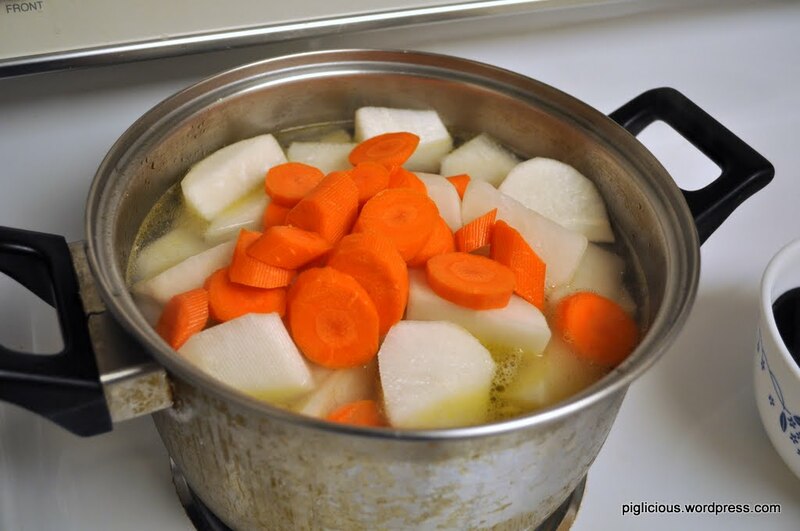 It should take about another 15 mins for the daikon and carrots to cook. 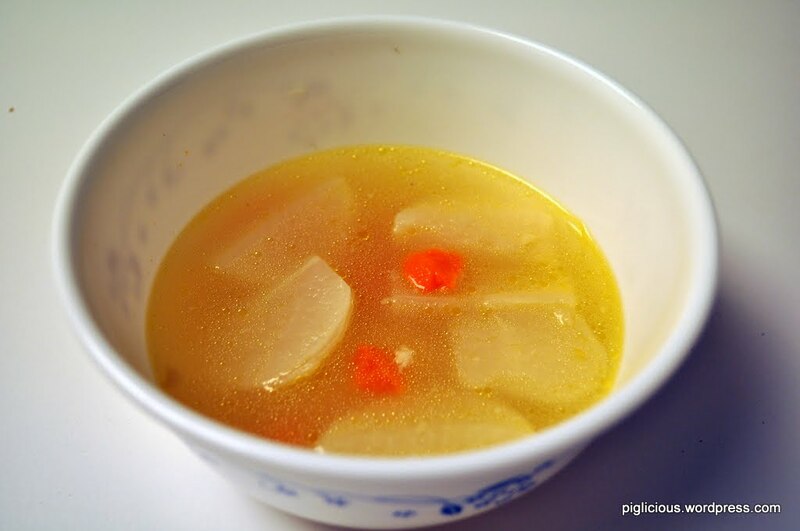 If you find that the chicken soup is too concentrated, you can add more water in and bring it to a boil.